7/25 Cup of Coffee: Offense was tough to come by throughout the system on Sunday, with the exception of the Greenville Drive. Trent Kemp (pictured) had a huge day with two home runs. Mauricio Dubon stayed hot with a 4-for-4 performance. Tate Matheny also recorded a four-hit day. Lowell won in 12 innings, with some clutch hits and a huge day from the bullpen. 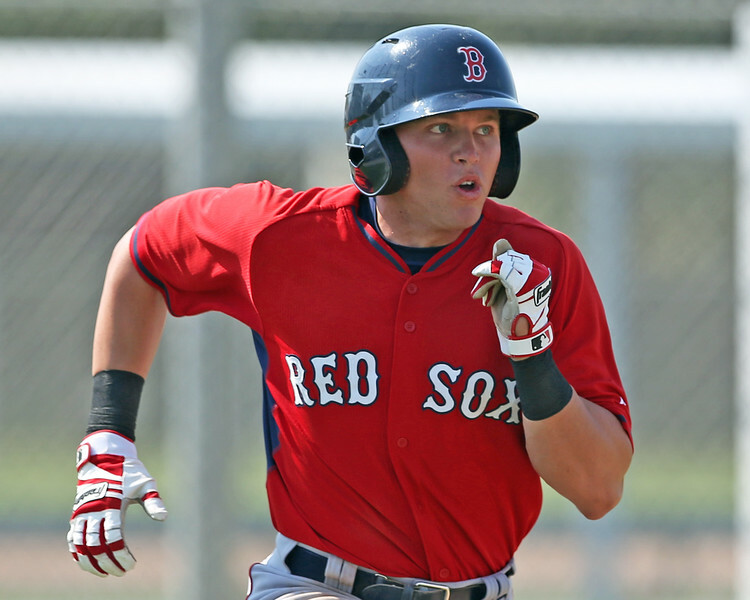 Brian Johnson made his first start with Pawtucket since May 14, and it did not go as planned. The lefty lasted just three innings and gave up four runs on six hits. He walked four batters, which is as many walks as he had in his previous four starts combined. Keith Couch came on and allowed six base runners in 3 1/3 innings on five hits and a walk, but was able to limit the damage to one run. Casey Janssen finished the game for the PawSox with 1 2/3 perfect innings with one strikeout. The offense didn't do much, as a two-run fifth was the only time they were able to score. Ryan LaMarre and Henry Ramos each went 2 for 4 and Dan Butler roped a two-run double. After jumping out to an early 1-0 lead, the Sea Dogs offense was unable to recover after the Mets grabbed two runs in the fifth. Portland had eight hits, and Mauricio Dubon had half of them. The young shortstop went 4 for 4 with a pair of doubles to raise his line with Portland to .333/.373/.480. Rainel Rosario drove in the only Portland run with a sacrifice fly. Yoan Moncada and Andrew Benintendi both went hitless, with Moncada taking the platinum sombrero by going 0 for 5 with five strikeouts. He's been struggling recently, as he's 0 for his last 11 with eight strikeouts. Mitch Atkins allowed eight hits and two walks over six innings, but only surrendered two runs. He struck out five. Jake Drehoff tossed two scoreless innings and Ben Taylor pitched a perfect ninth with two strikeouts. He now has a 1.53 ERA with Portland, including 22 strikeouts and just six walks in 17 2/3 innings. Salem was put in an early hole when Matt Kent was touched for five runs in the first inning. The first three batters hit doubles and the next two hit singles. To his credit, Kent did not allow a run over the next four innings, giving up just one hit and no walks after the first. German Taveras gave up two runs in his two innings of relief. Bobby Poyner struck out the side in order in the eighth. Like Pawtucket and Portland, Salem struggled offensively with just three hits and four walks. Nick Longhi was 1 for 4 with his 25th double. Mike Meyers and David Sopilka each collected singles. To make up for the lack of runs for the other affiliates, Greenville exploded for 12 runs on 18 hits and four home runs, with everybody in the starting nine collecting at least one hit. Trent Kemp led the charge, going 3 for 5 with two home runs and a double. Austin Rei was 2 for 4 with a home run, Michael Chavis went 1 for 5 with his seventh home run, and Tate Matheny went 4 for 4. Josh Ockimey, Kyri Washington, and Jeremy Rivera each had two hits as well. Enmanuel De Jesus had a rough outing, allowing five runs on seven hits and three walks in just 4 1/3 innings. Greenville's bullpen was outstanding, tossing 4 2/3 innings of shutout ball. Gerson Bautista threw 2 2/3 innings without walking a batter and allowed just one hit. Jake Cosart and Victor Diaz each went an inning, with Diaz striking out a pair. The Spinners came away victorious in extra innings after things looked bleak in the ninth. With one out and nobody on in the top of the ninth, with Lowell down 2-1, Tyler Hill belted a game-trying solo shot and sent the game into extras. In the 12th, still tied, Tucker Tubbs led off with a walk and was followed by Yoan Aybar, who blasted a two-run homer to give the Spinners a lead. They would tack on another insurance run when Hill drove in a run with a single later in the inning. Hill finished 2 for 5 with a walk, and is now hitting .371 in 29 games. Aybar was 3 for 5 and Nick Sciortino had two hits. 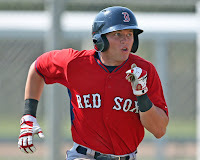 Bobby Dalbec also hit a double, and now has three in his first two games after his fourth-round selection. Kevin Steen started and allowed two runs on eight hits in just 4 1/3 innings. Matthew Gorst was terrific in relief, chucking 2 2/3 innings without allowing a run or a hit. Kuehl McEachern came up huge for Lowell after coming in for the bottom of the eighth. He lasted 4 2/3 innings without allowing a run. Pat Goetz recorded the final out in the bottom of the 12th. Player of the Night: Trent Kemp was the main source of power for Greenville on a day where they scored 12 runs. The 20-year old drafted in the 15th round in 2014 hit two homers and a double. He's batting just .247 in 64 games with the Drive, but has hit for some nice power, with a .470 slugging percentage, including 14 doubles, a triple, and 11 bombs.